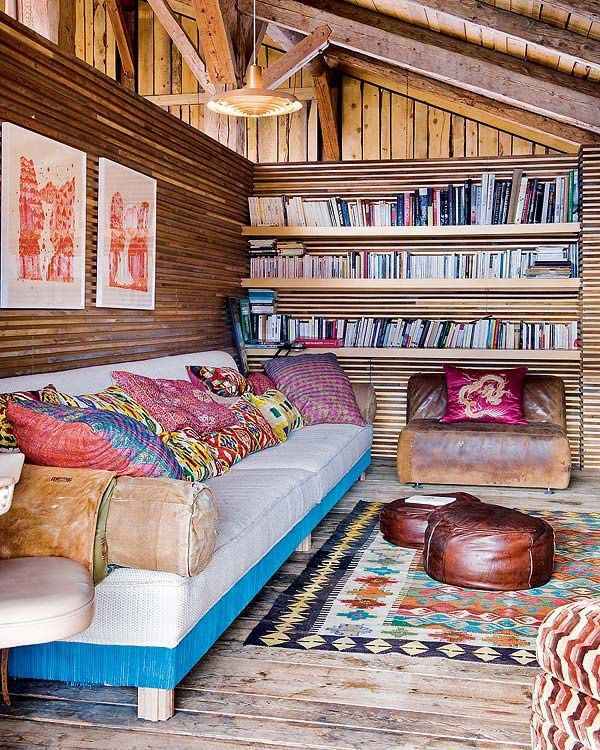 Boho room decor ideas – how to create bohemian chic interiors? 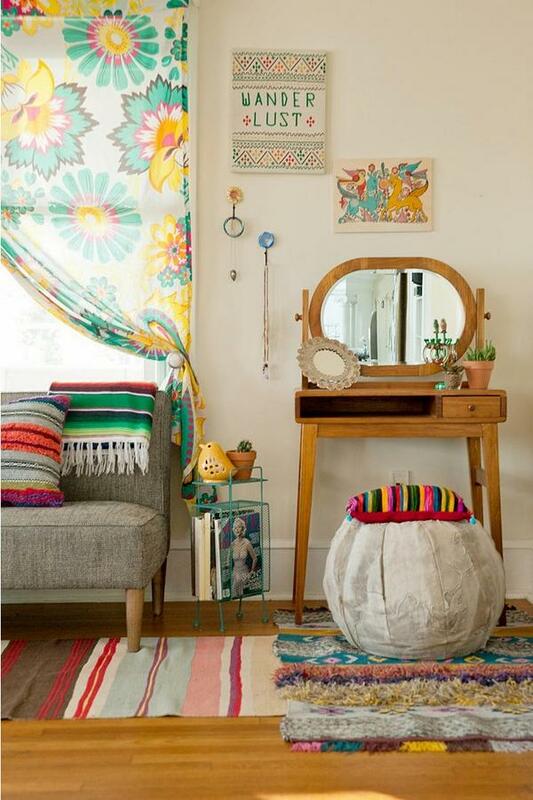 Boho room decor ideas are a wonderful mixture of eye catching elements. 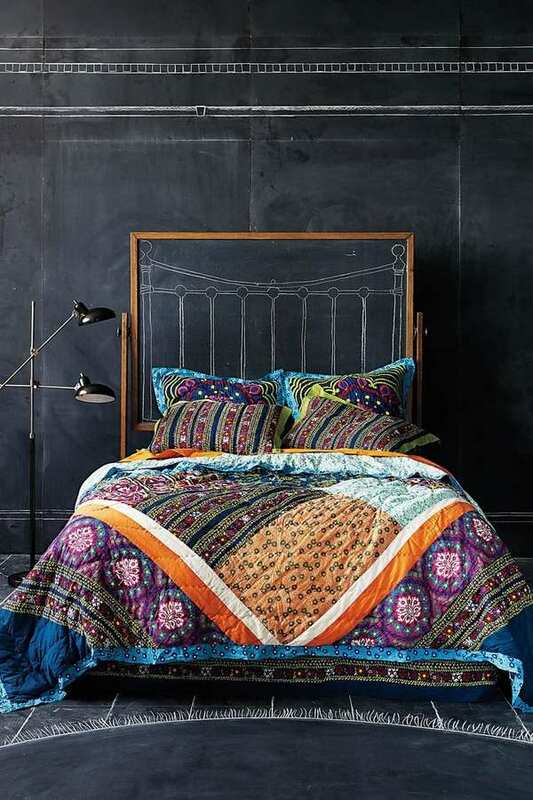 Bohemian style is anything but simple, although to many people it seems chaotic and mismatched. 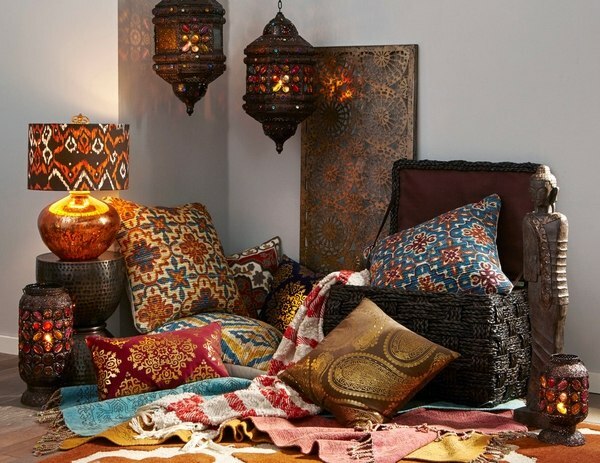 Piles of cushions, multi-colored curtains, exotic bedding sets, oriental accessories, lots and lots of different pieces of furniture, fixtures, accessories, jewelry and decorative pieces – you can find any of these in a boho room. 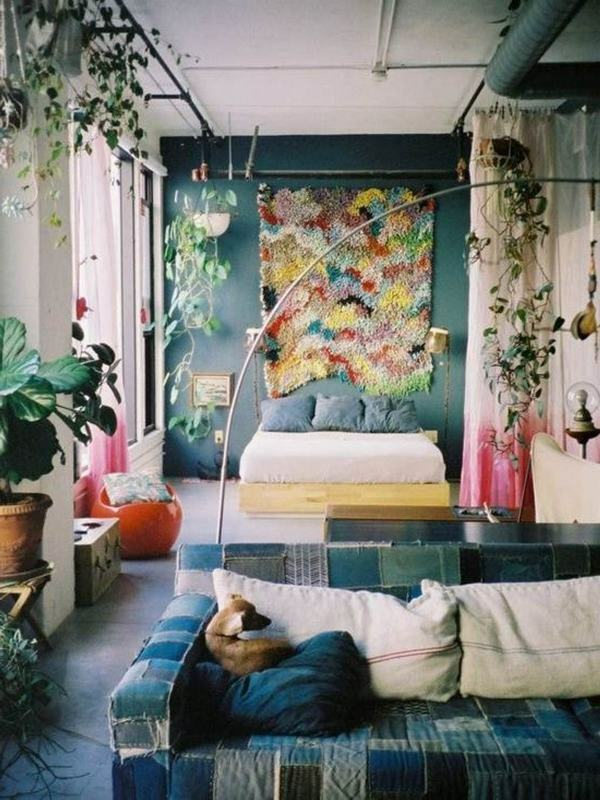 When looking at the various boho room interiors one can never be bored. Monochrome, uniformity – you will never find anything like that in a boho room decor. 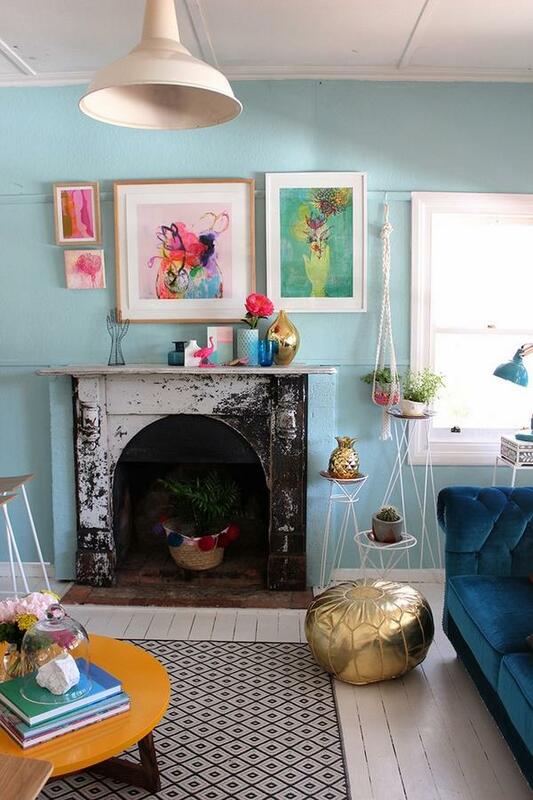 No, your eyes will jump from one color to another, from one piece of furniture to another and the warm, friendly eclecticism will make you feel like you are time travelling. 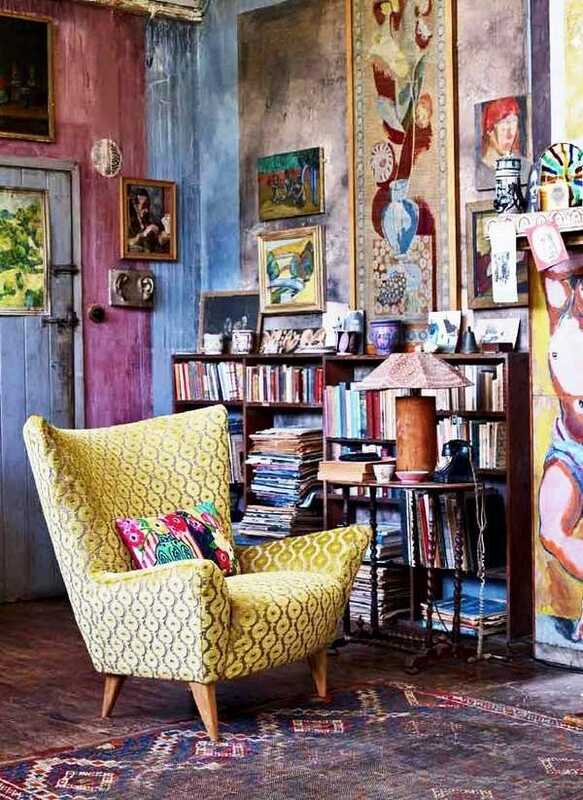 The lack of rules, restrictions or requirements is what makes Bohemian style in interior so original, so overwhelming and so unique. 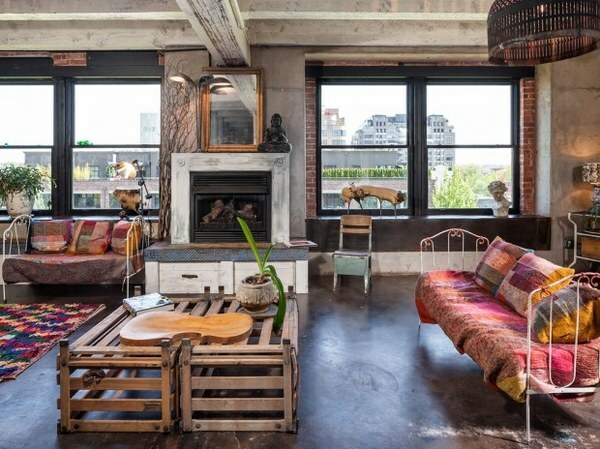 Bohemian style is all about individuality, freedom, independence, self-expression, artistic approach, and the interiors often involve combinations which, at first glance, seem incongruous in terms of colors and details. How did Bohemian style originate? How to recognize the boho style? 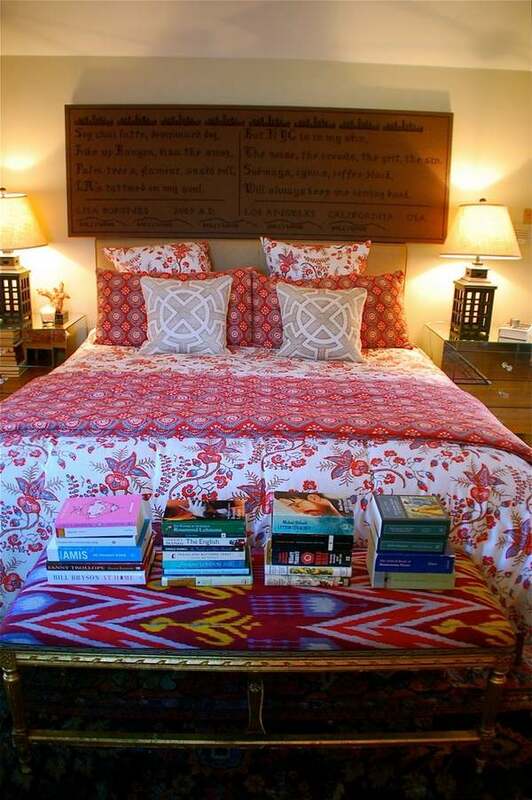 How to decorate your home in a trendy boho chic? We shall try to give you the answers and will offer you a selection of incredibly vivacious boho room decor ideas to inspire you. To understanding boho style we need to understand the origin of its name. Simplified from “La Boheme” in everyday vocabulary, the word translated from French means a gypsy but describes the bohemian lifestyle, which was characteristic for the artists of the 19th century. There is nothing surprising, because Boho style is also said to have originated in Bohemia, a territory which was inhabited by many gypsies in the past. These nomadic souls lived by their own rules for centuries and had their own special and unique stylistic solutions. Maybe that is the reason why artists were called Bohemians – people who had an outstanding view of life and refused to follow the rules and principles of the society, disrespecting the canons and trying to live in a bright and creative way. One of the main characteristic features of boho style is the combination of colors, patterns, textures and different cultural influences that exist in the world. 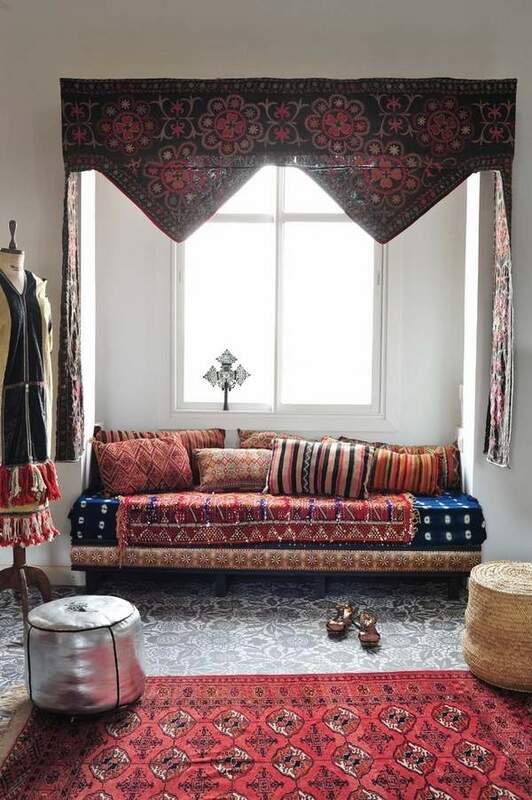 Make no mistake – if you are a person who is a fan of the perfect order, of interiors where everything to the last detail has its own place, Bohemian style is definitely not your style. 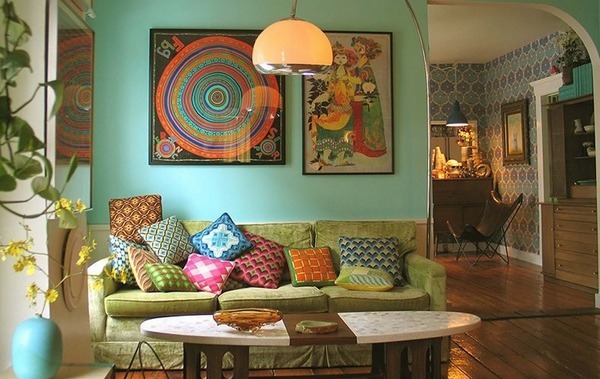 Bohemian style, with its unusual, bright and unpredictable mixtures, is appealing to people who want to create an original home interior that reflects the love of freedom and unique personality of the homeowner. 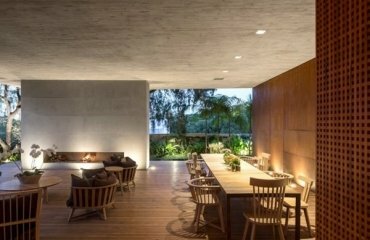 The most interesting thing that describes the boho style in the interior is the lack of strict framework or rules which allows endless possibilities to decide how to decorate and arrange your home. 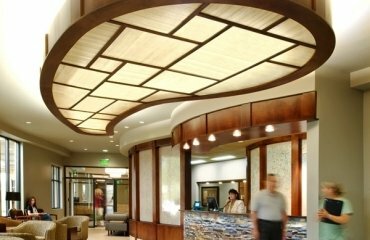 There are numerous different options which you can use to achieve a bright and unexpected effect. 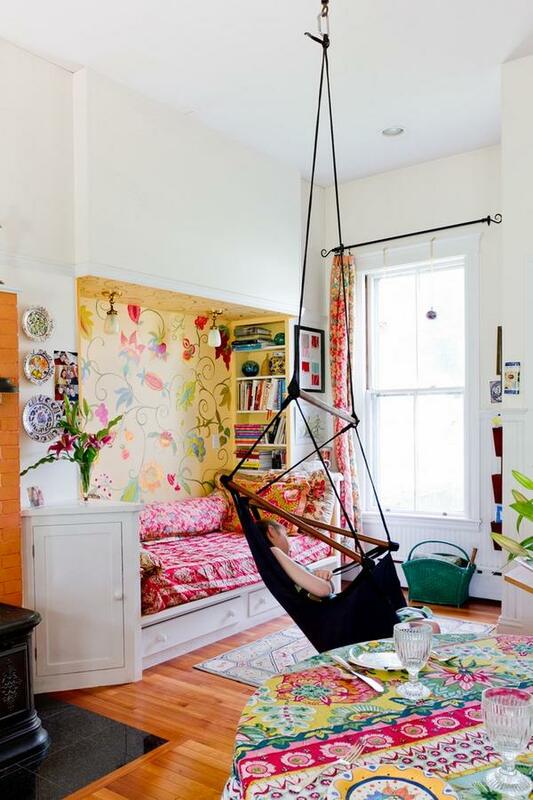 The truth is that people who live in bohemian style interiors rarely plan the design and do not burden themselves with much thought but rely on the personal taste and perception. 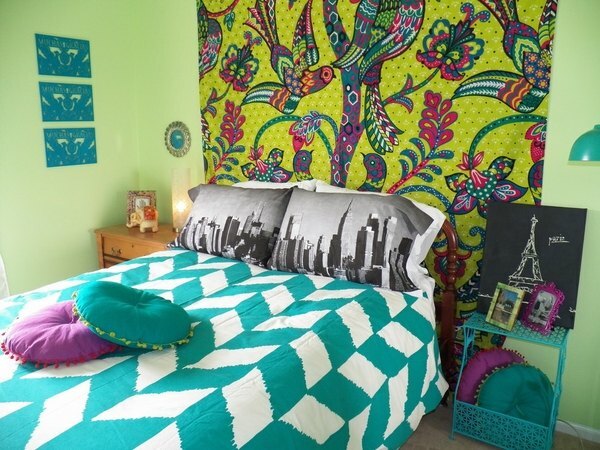 In a boho room decor you can choose one main color scheme and choose a single “basic” color. This design technique involves playing with contrasts. For example, a beautiful effect can be achieved by placing a golden pillow on a blue couch or carelessly throwing red plaid on black chair. 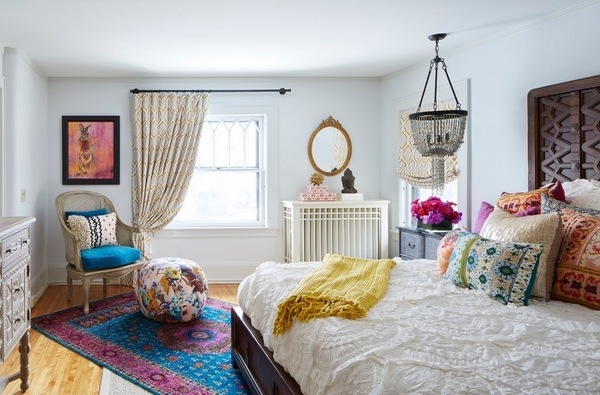 Within the color scheme you can mix different styles, oriental motifs, or create a neutral background accentuated by color pops in the most vivid rainbow colors. 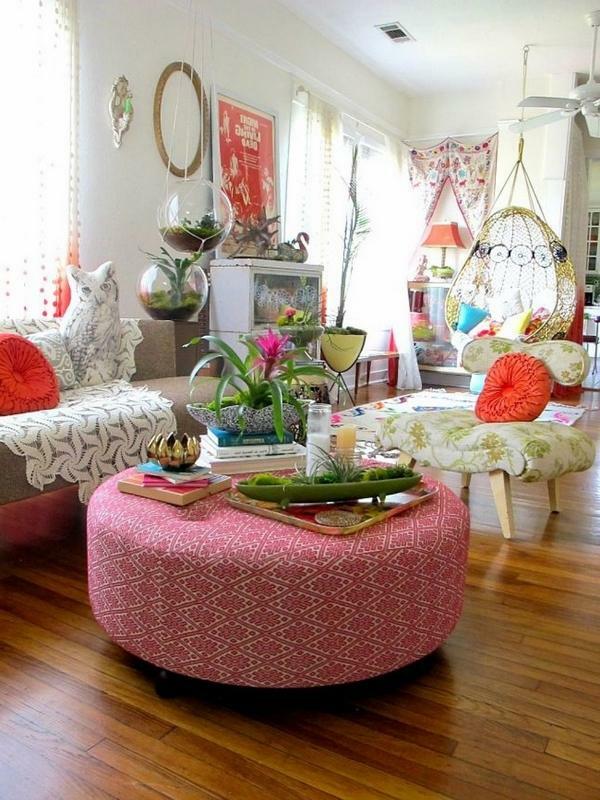 Another major feature of Boho style is the liberty to choose the materials for furniture, decor and accessories. 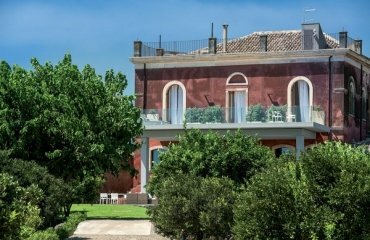 You may see a beautiful expensive oak parquet and whitewashed brick walls, fabulous plaster ornaments on the ceiling or the walls and extremely simple furniture pieces – contrasts working in harmony. Despite the fact that there are no rules, the majority of boho room interiors feature natural materials, which is typical for rustic, country, shabby chic style, as well as other styles, except for high tech. Plastic and other synthetic materials are rarely seen. 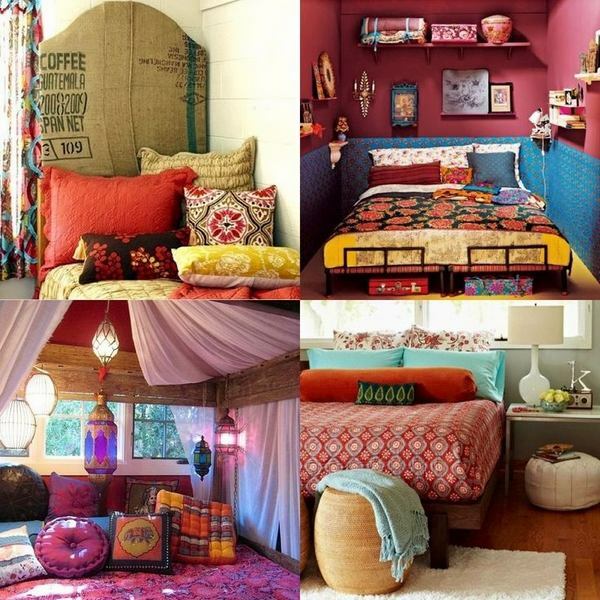 Boho room decor ideas – how to choose Bohemian style furniture? 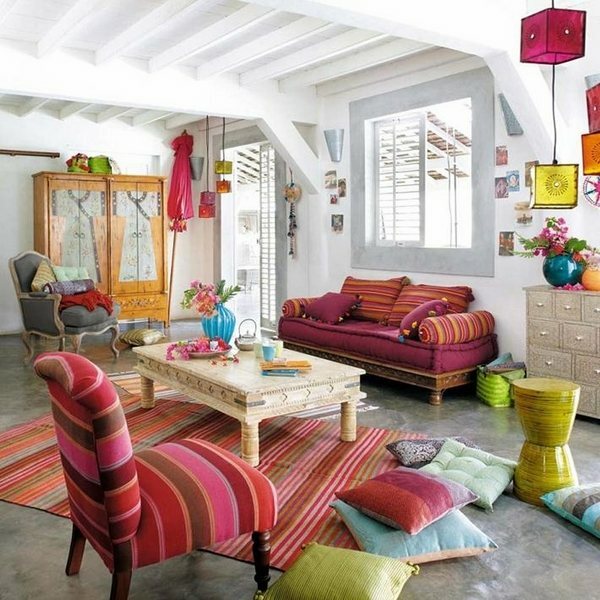 An interior in boho style suggests an atmosphere of creativity and relaxation, a place for a pleasant time. 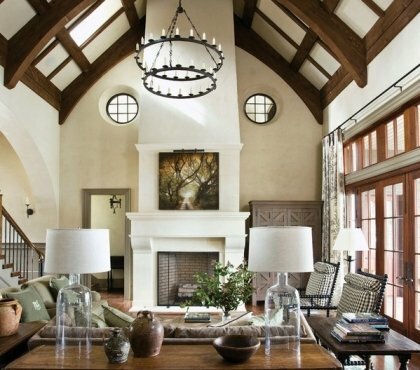 Comfort is the word that describes furniture pieces in a bohemian interior. Upholstered furniture should be chosen with regard to the personal comfort – comfortable and deep sofas, cozy armchairs, ottomans, side tables with simple forms. Leather sofas are ideal for Bohemain style interiors. Armchairs from another set beside the sofa will add to the unexpected visual aesthetics and when you add a small coffee table or ottoman you will have quite interesting combinations of different shapes and colors. 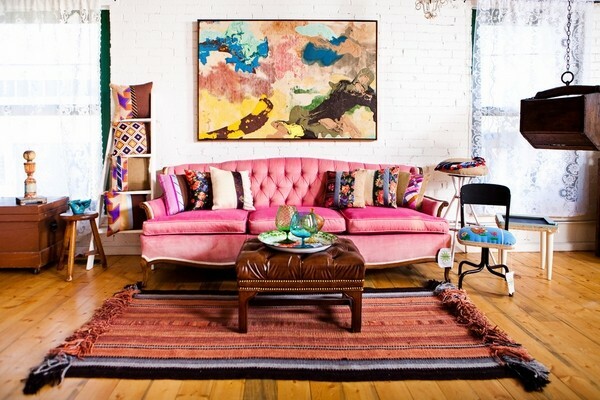 Vintage furniture pieces fit perfectly in most boho room decor ideas. You may have found them on the attic of your grandmother’s house or at a flea market, for example – a pile of old books, but they will be that little “twist”, where you can make a really good accent and add a ton of character. Antique chests of drawers, shabby chic armoires, wooden sideboards, a rocking chair, wicker furniture – all these are typical for the boho style and emphasize the originality of the home. 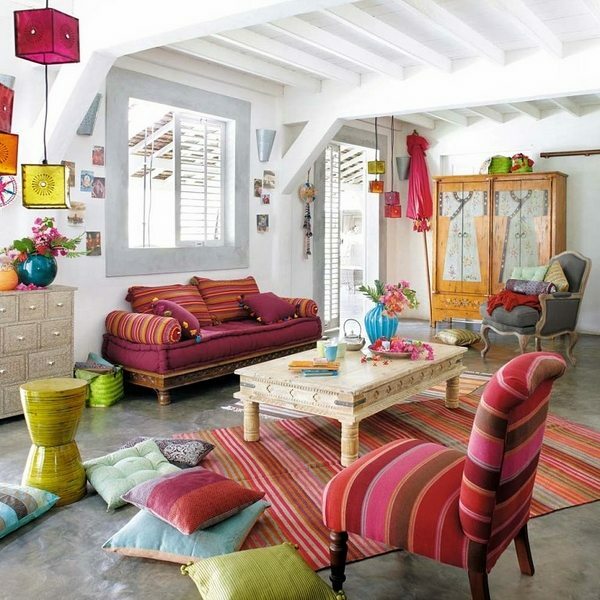 Wrought iron furniture and accessories are also a good idea when you want to decorate a room in boho style. 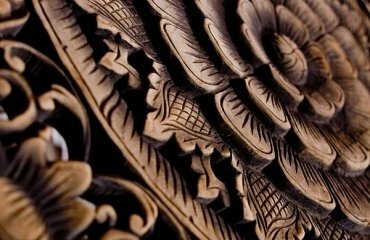 For example – wrought iron bed headboards, backs of chairs or feet of dining tables, wrought iron support for flowers or a statuette. 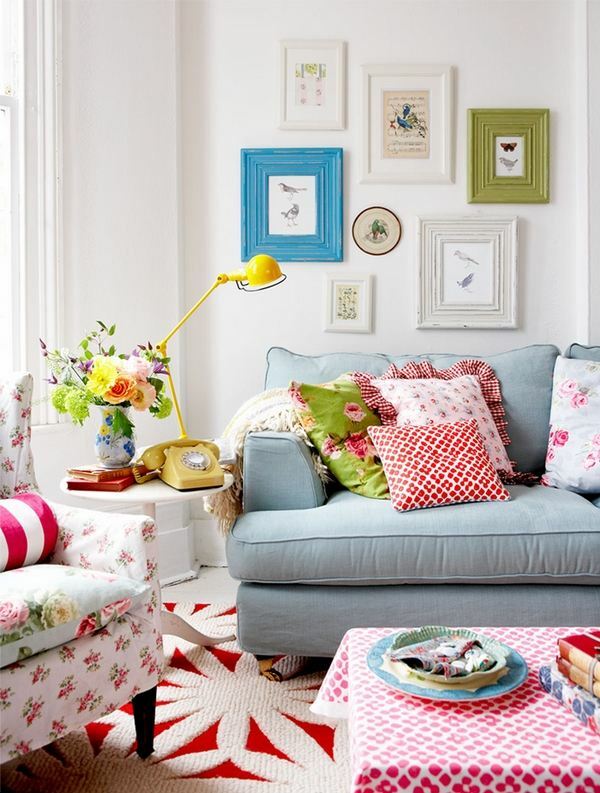 We seldom see organized storage in a boho room. 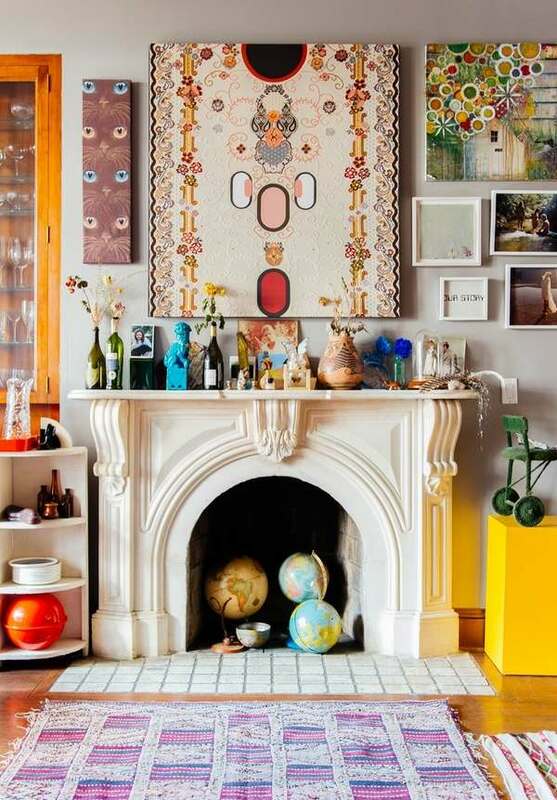 The creative chaos is part of the Boho interior –a pile of books lying on the windowsill, pillows on the floor, various decorative items on open shelves, candles of various colors and shapes grouped by the fireplace – whatever pleases the homeowner. Of course, clothes scattered around the room is not complementary, so a vintage wardrobe will be most useful. 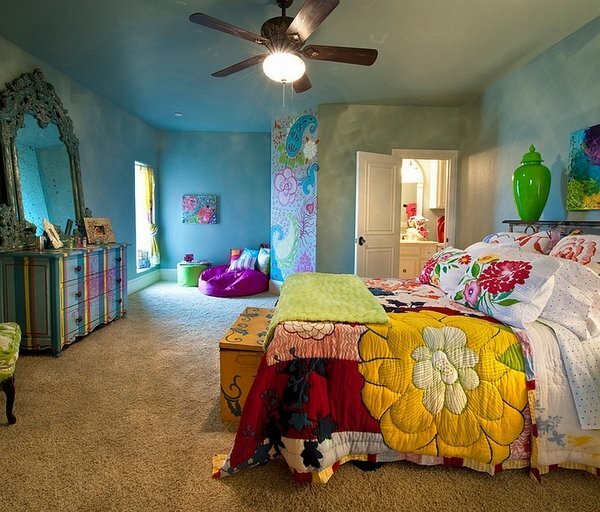 Just remember – the most important is to experiment with original, bold saturated colors, various patterns, textures, materials, finishes and not to be afraid to show your personality. 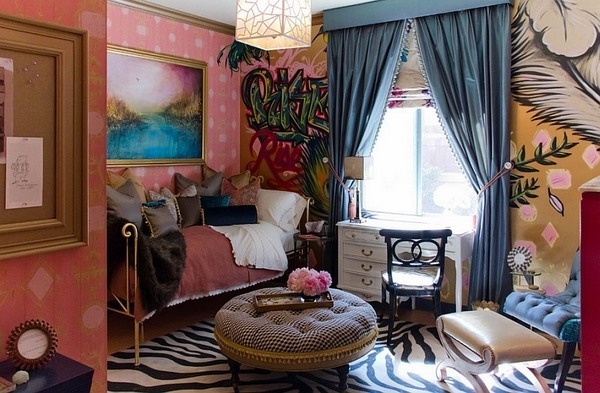 A boho room should certainly reflect it your individuality and lifestyle. 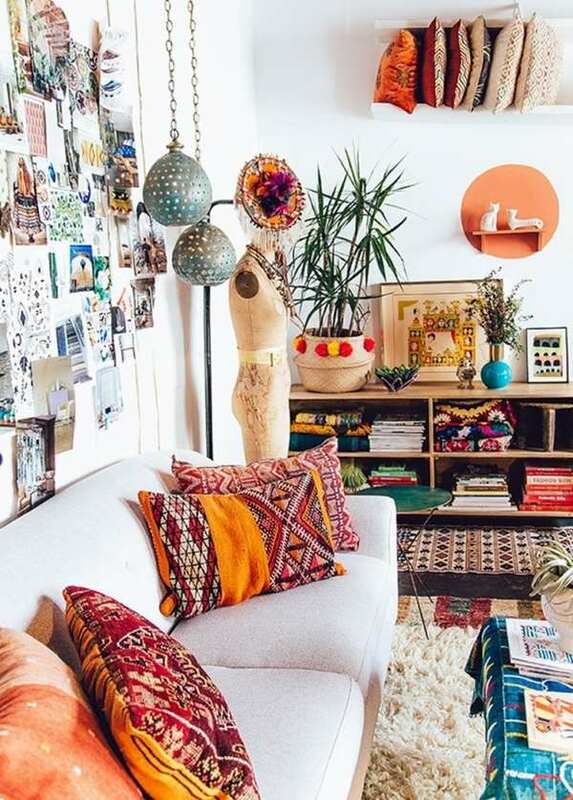 How to create an impressive boho room decor? 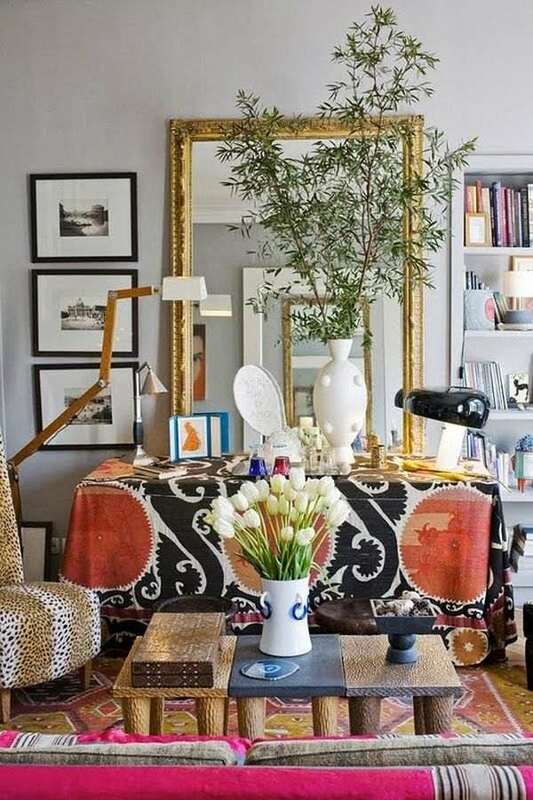 Here are some very practical tips and ideas how to create an impressive bogo room decor. 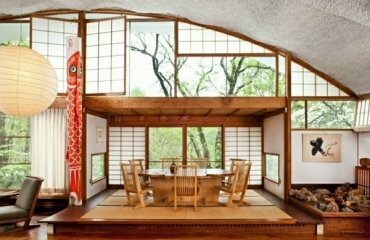 The style is greatly favorable to collectors as they can display their collected items or items that they bought while travelling in different countries. Such items will be very useful as wall decorations, they can be displayed on a console table or the fireplace mantel. Again, there is no rule what to display – it can be anything from a straw hat that you bought on an island vacation, to garlands of crystal pendants, retro posters, oriental lanterns, figurines made of ceramic or wood, intricate dishes, paintings by street artists – anything that pleases the eye. 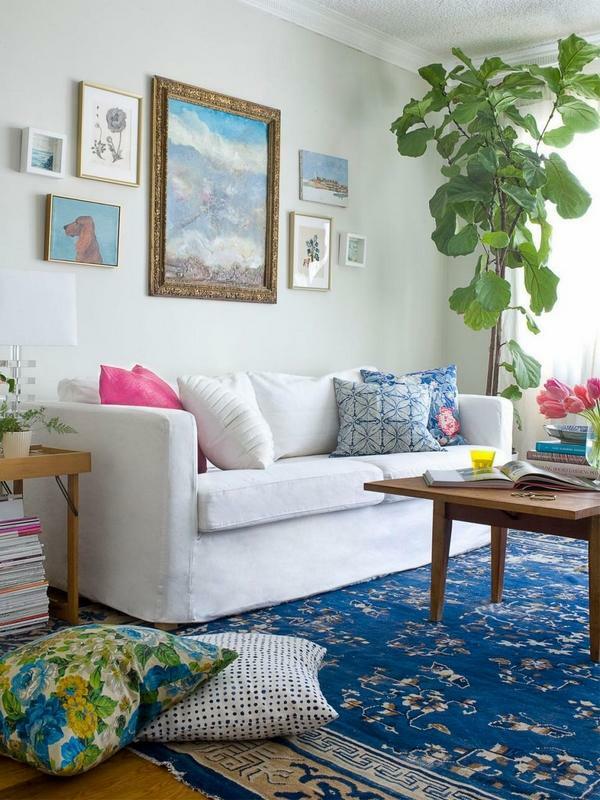 Use different textures and materials for curtains, pillows, rugs and upholstery. Combine fur and cotton, velvet and silk, batiste and tapestry. 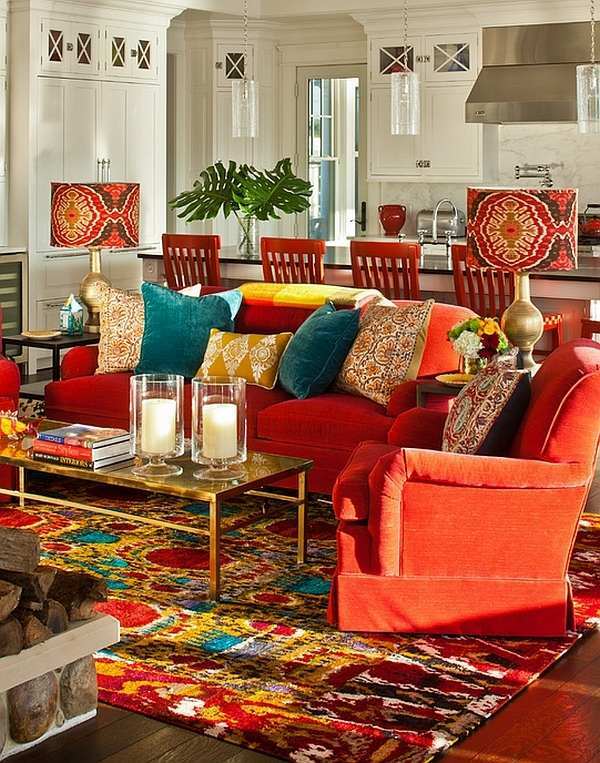 Some people prefer to combine patterned carpets and colorful cushions and this looks especially spectacular in Oriental styles like Moroccan interiors. 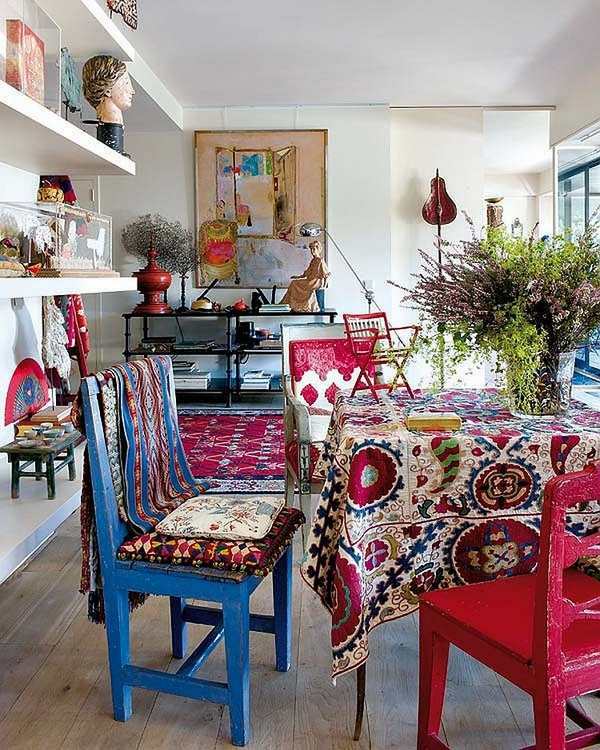 Using iconic accessories is typical in bohemian style decors. Accessories should be different: beautiful, catchy, sometimes contradictory, but they should be special things with personal history and associations. There are several main Bohemian style varieties which are united by the concept of freedom, experiment, expressiveness, originality and creativity. 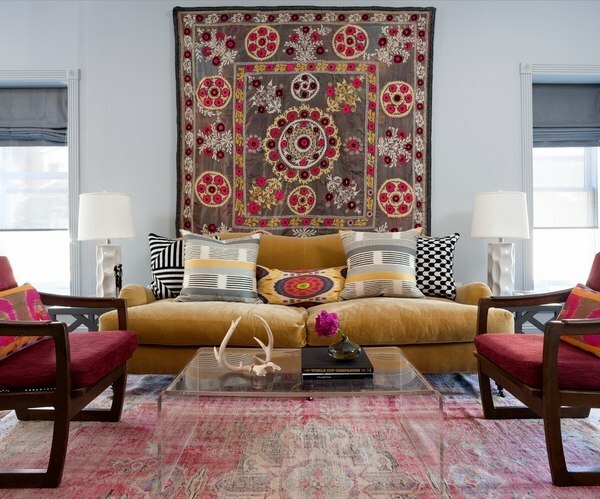 Boho style with classic elements pays respect to classic forms, shapes and textiles like tapestry, velvet, cotton and silk. Very often you can see antique carpets or rugs, screens with oriental ornaments, valuable accessories and decorative items. 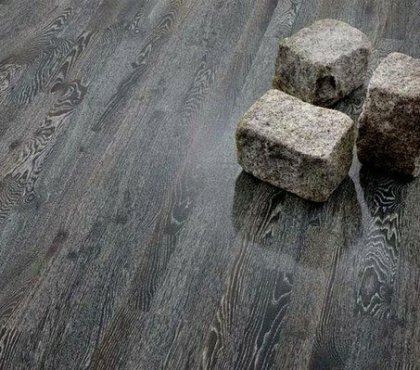 Typical colors are considered to be beige, gold, and brown marble but with bright accents like curtains or pillows which balance the classical details. 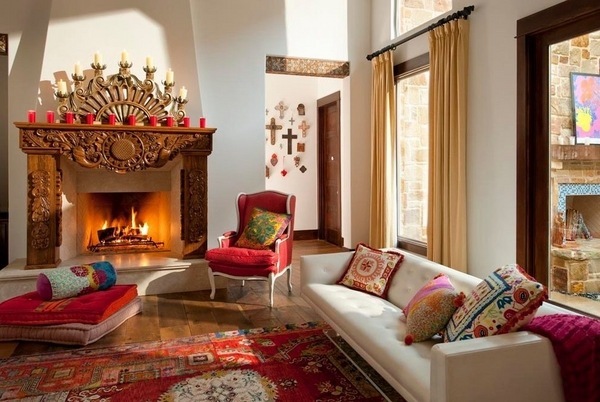 Boho chic is exceptionally trendy, sometimes even luxurious. You will see high quality materials, interesting textures and surfaces, various vintage and glamorous furniture pieces, ceiling lamps with crystals and pendants, glamorous crystal chandeliers, carved chairs, photographs in beautiful frames, silk pillows, etc. 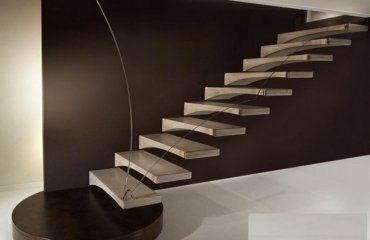 The main thing is to rely more on your own taste and not to forget that the interior should look subtly and exquisitely luxurious. 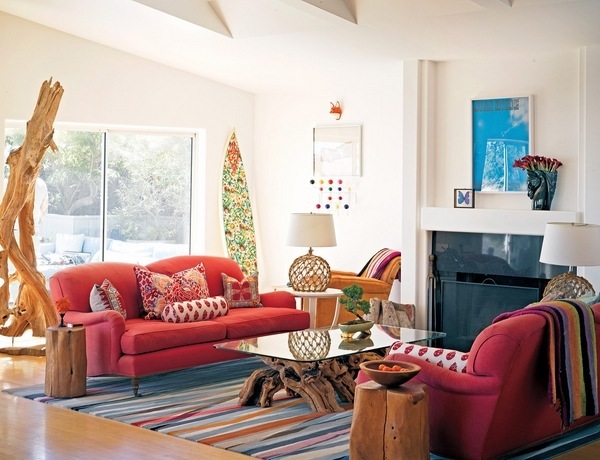 Environmental boho style is popular with people who are concerned about nature preservation. 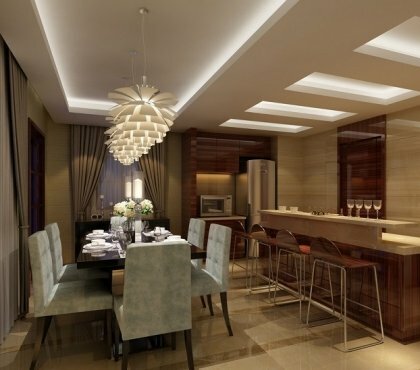 They prefer natural materials – cotton, leather, silk, linen, natural wood and stone, brick, tile, metal accents. All these elements are combined in a kaleidoscope of colors and textures. Boho-hippie is especially bright, enthusiastic, a little fairy, but at the same time incredibly original. 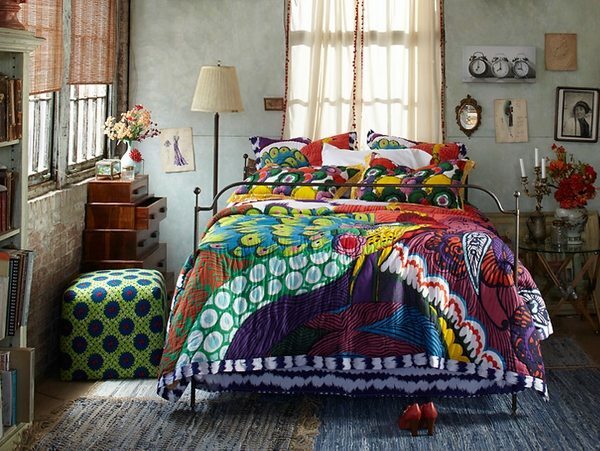 You can use funky patterns, floral patterns combined with animal prints, textiles with fringe, lace, many details and accents, painted in all colors of the rainbow.